DENVER, July 26, 2018 /PRNewswire/ -- Chipotle Mexican Grill, Inc. (NYSE: CMG) today reported financial results for its second quarter ended June 30, 2018. "I'm pleased to report a solid second quarter with sales and restaurant margins ahead of expectations," said Brian Niccol, chief executive officer. "While we made progress during the quarter with particular strength in digital sales, I firmly believe we can accelerate that progress by executing our reorganization and our strategy to win today and cultivate tomorrow." 1 Adjusted net income and adjusted diluted earnings per share are non-GAAP financial measures. Reconciliations to GAAP measures and further information are set forth in the table at the end of this press release. Revenue for the quarter was $1.3 billion, an increase of 8.3% from the second quarter of 2017. The increase in revenue was driven by new restaurant openings and to a lesser extent by a 3.3% increase in comparable restaurant sales. Comparable restaurant sales improved primarily as a result of an increase in average check, including a 4.0% effective menu price increase and customers adding queso, partially offset by 1.8% fewer comparable restaurant transactions. We opened 34 new restaurants during the quarter, and closed or relocated eight (including the closure of five Pizzeria Locale restaurants), bringing the total restaurant count to 2,467. Food costs were 32.6% of revenue, a decrease of 150 basis points compared to the second quarter of 2017. The decrease was driven by the benefit of the menu price increases and relief in avocado prices, partially offset by elevated beef prices during the second quarter of 2018 compared to the second quarter of 2017. Restaurant level operating margin was 19.7% in the quarter, an improvement from 18.8% in the second quarter of 2017. The improvement was driven primarily by comparable restaurant sales increases and lower marketing and promotional spend, partially offset by wage inflation at the crew level. General and administrative expenses were 6.7% of revenue for the second quarter of 2018, an increase of 70 basis points over the second quarter of 2017. In dollar terms, general and administrative expenses increased compared to the second quarter of 2017 due to increased headcount and higher bonus expenses, combined with increased expense related to several company initiatives including digitizing our restaurant experience and operational leadership changes, and increased legal and corporate restructuring expenses. These increases were partially offset by a decrease in stock-based compensation expense due to revisions in our estimate of the number of certain stock awards we expect to vest in connection with our corporate restructuring. Impairment, closure costs, and asset disposals increased $45.7 million compared to the second quarter of 2017 primarily due to the upcoming closures of underperforming restaurants and the associated write down of a large portion of the related long-lived asset values, as well as lease termination costs and impairment charges related to office closures associated with the office relocations and corporate restructuring that were announced in May 2018. Net income for the second quarter of 2018 was $46.9 million, or $1.68 per diluted share, compared to net income of $66.7 million, or $2.32 per diluted share, in the second quarter of 2017. Excluding the impact of restaurant asset impairment, corporate restructuring, and certain legal costs, adjusted net income was $80.2 million and adjusted diluted earnings per share was $2.87. Revenue for the first six months of 2018 was $2.4 billion, up 7.9% from the first six months of 2017. The increase in revenue was driven by new restaurant openings and a 2.8% increase in comparable restaurant sales. Comparable restaurant sales improved primarily as a result of an increase in average check, including a 4.5% benefit from menu price increases that have been implemented in all our restaurants, partially offset by 2.6% fewer comparable restaurant transactions. We opened 69 new restaurants during the year and closed or relocated 10 (including the closure of five Pizzeria Locale restaurants), bringing the total restaurant count to 2,467. Food costs were 32.5% of revenue, a decrease of 150 basis points as compared to the first six months of 2017. The decrease was driven by the benefit of the menu price increases and relief in avocado prices, partially offset by elevated beef prices during the first six months of 2018 compared to the first six months of 2017. Restaurant level operating margin was 19.6% for the six months ended June 30, 2018, an improvement from 18.3% in the first six months of 2017. The improvement was driven by comparable restaurant sales increases, combined with lower marketing and promotional spend, partially offset by wage inflation at the crew level. General and administrative expenses were 6.7% of revenue for the first six months of 2018, an increase of 50 basis points over the first six months of 2017. In dollar terms, general and administrative expenses increased compared to the first six months of 2017 due to increased headcount and higher bonus expenses, combined with increased expense related to several company initiatives including digitizing our restaurant experience and operational leadership changes, and increased legal and corporate restructuring expenses. These increases were partially offset by a decrease in stock-based compensation expense due to revisions in our estimate of the number of certain stock awards we expect to vest in connection with our corporate restructuring. Impairment, closure costs, and asset disposals increased $46.9 million compared to the first six months of 2017 primarily due to the upcoming closures of underperforming restaurants and the associated write down of a large portion of the related long-lived asset values, as well as lease termination costs and impairment charges related to office closures associated with the corporate restructuring. Our effective tax rate was 35.4% for the first six months of 2018, a decrease from 38.3% in the first six months of 2017, due to the enactment of the Tax Cuts and Jobs Act. This decrease was partially offset by excess tax deficits related to stock award exercises and vesting, the impact of non-deductible items that were added or expanded by the TCJA, and an increase in the effective state tax rate due to the impact of the state tax deduction at the lower federal rate. Net income for the first six months of 2018 was $106.3 million, or $3.81 per diluted share, compared to net income of $112.9 million, or $3.92 per diluted share, for the six months ended June 30, 2017. Excluding the impact of restaurant asset impairment, corporate restructuring, and certain legal costs, adjusted net income was $139.7 million and adjusted diluted earnings per share was $5.00. Comparable restaurant sales, or sales comps, and comparable restaurant transactions, represent the change in period-over-period sales or transitions for restaurants in operation for at least 13 full calendar months. Average restaurant sales refers to the average trailing 12-month sales for restaurants in operation for at least 12 full calendar months. Chipotle will host a conference call to discuss the second quarter 2018 financial results on Thursday, July 26, 2018 at 4:30 PM Eastern time. The conference call can be accessed live over the phone by dialing 1-877-451-6152 or for international callers by dialing 1-201-389-0879. 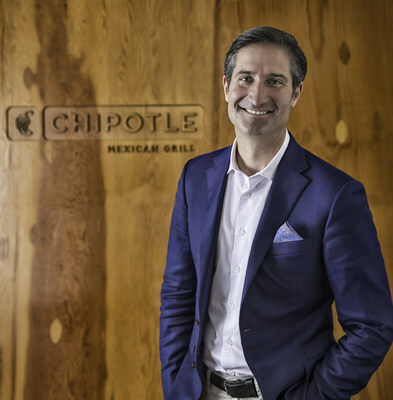 The call will be webcast live from the company's website on the investor relations page at ir.chipotle.com/events. An archived webcast will be available approximately one hour after the end of the call. Certain statements in this press release, including statements under the heading "Outlook" of our expected comparable restaurant sales, number of new restaurant openings, and effective tax rates in 2018, are forward-looking statements as defined in the Private Securities Litigation Reform Act of 1995. We use words such as "anticipate", "believe", "could", "should", "estimate", "expect", "intend", "may", "predict", "project", "target", and similar terms and phrases, including references to assumptions, to identify forward-looking statements. The forward-looking statements in this press release are based on information available to us as of the date any such statements are made and we assume no obligation to update these forward-looking statements. These statements are subject to risks and uncertainties that could cause actual results to differ materially from those described in the statements. These risks and uncertainties include, but are not limited to, the following: the uncertainty of our ability to achieve expected levels of comparable restaurant sales due to factors such as changes in consumers' perceptions of our brand, including as a result of actual or rumored food-borne illness incidents or other negative publicity, the impact of competition, including from sources outside the restaurant industry, decreased overall consumer spending, or our possible inability to increase menu prices or realize the benefits of menu price increases; the risk of food-borne illnesses and other health concerns about our food or dining out generally; factors that could affect our ability to achieve and manage our planned expansion, such as the availability of a sufficient number of suitable new restaurant sites and the availability of qualified employees; risks related to recently-announced restructuring activities, including increased expenses and substantial turnover in the ranks of our corporate support teams; the performance of new restaurants and their impact on existing restaurant sales; the potential for increased labor costs or difficulty training and retaining qualified employees, including as a result of market pressures, enhanced food safety procedures in our restaurants, or new regulatory requirements; increases in the cost of food ingredients and other key supplies or higher food costs due to changes in supply chain protocols; risks related to our marketing and advertising strategies, which may not be successful and may expose us to liabilities; supply chain risks; risks relating to our expansion into new markets, including outside the U.S., or non-traditional restaurant sites; the impact of federal, state or local government regulations relating to our employees, our restaurant design, or the sale of food or alcoholic beverages; risks associated with our Food With Integrity philosophy, including supply shortages and potential liabilities from advertising claims and other marketing activities related to Food With Integrity; security risks associated with the acceptance of electronic payment cards or electronic storage and processing of confidential customer or employee information; risks relating to litigation, including possible governmental actions related to food-borne illness incidents, as well as class action litigation regarding employment laws, advertising claims or other matters; risks relating to our insurance coverage and self-insurance; risks regarding our ability to protect our brand and reputation; risks associated with our reliance on certain information technology systems; risks related to our ability to effectively manage our growth; risks associated with our pending leadership change and our dependence on key personnel; and other risk factors described from time to time in our SEC reports, including our most recent annual report on Form 10-K and subsequent quarterly reports on Form 10-Q, all of which are available on the investor relations page of our website at ir.Chipotle.com. (1) Balances were adjusted due to the adoption of Financial Accounting Standards Board Accounting Standards Update No. 2016-18, "Statement of Cash Flows (Topic 230): Restricted Cash" as discussed in further detail in Item 1. "Financial Statements," in our Form 10-Q. The following provides a reconciliation of non-GAAP financial measures presented in the text above to the most directly comparable financial measures calculated and presented in accordance with GAAP. Adjusted net income is net income excluding restaurant asset impairment, corporate restructuring, and certain legal costs. Adjusted diluted earnings per share is adjusted net income divided by diluted weighted-average common shares outstanding. We believe that these measures enhance investors' ability to compare the past financial performance of our underlying business with our current business performance and reflect the performance of our underlying restaurants separate from asset impairment, corporate restructuring and certain legal costs at the corporate level. Management uses these non-GAAP measures for similar purposes. Our adjusted net income and adjusted diluted earnings per share measure may not be comparable to other companies' adjusted income measures. (1) Restaurant asset impairment costs for planned restaurant closures due to underperformance during the second quarter of 2018 and continuing over the next several quarters. (2) Costs for office lease termination and other office closure expenses, and impairment charges for office-related assets. (3) Costs for employee severance and other transition expenses, recruitment and relocation costs, and third party and other employee-related costs. (4) Costs for cumulative adjustment to reduce stock-based compensation expense due to reduced estimate of the number of certain awards that we expect will vest. (5) Uninsured portion of a judgment in a single legal proceeding, in an amount exceeding the range typically seen in the ordinary-course, single-plaintiff litigation matters.